I reckon Hong Kong would be THEE best city on earth if it wasn’t for the humidity & pollution. Not only does it mess up our appearance but also decreases our mood. No matter how many showers we have a day, 10 minutes walking around central and we’re sweating bullets out of places we didn’t even think we could sweat from. And you can forget about wearing make up or deodorant…. Here are a few tips to beat the summer heat. 1. Store your moisturizers, eye gels, cleaners (basically any facial products) in the fridge. You will experience a cool sensation when you apply them but can also make them more effective as storing it at +35C or higher temperatures can cause chemical changes in the products. 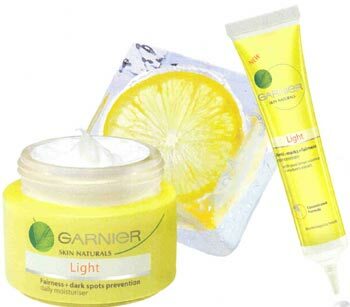 Try purchasing light moisturizers so your face doesn’t sweat more or clog up, causing blotchy skin. Also to the men who have dared to read this post, remember to moisturize before bed to help with sun damage. You do not want to be 50 year old with saggy, blotchy skin..trust me. Same goes for light sunscreen. 2. Use a scrub once a week to remove built up dirt you’ve collected on various junk trips, pool days, hikes etc .. Exfoliation is a must as dead skin cells lead to pimples and skin irritation. According to Berg , one of the reasons men’s skin looks more youthful than women’s is because men tend to exfoliate daily when they shave. 3. Go for frozen yoghurt instead of Ice-cream! Less calories,more nutritious, gives you an energy boosts but doesn’t leave you with that groggy post sugar meltdown. 4. Hydrate. Hydrate. Hydrate. Such an obvious one but we need to be drinking double the amount of water we usually do, especially when consuming alcohol! 6. Hit Splash in Macau. Price: $300 pre-booked, $350 on the door. 7. Avoid Beer as It makes you sweat. Try Pimm’s, Sangria, Mojitos, Margaritas, G&T’s etc as they are more refreshing and tend to have less calories. To all you lads out there who need to be seen with a beer in hand in order to look cool infront of your mates, try a vodka lime soda instead. You’re more likely to throw up the next day but hey..all for the banter ay? 8. Avoid foods that make you bloat. No one wants to feel bloated in their swimwear. Keep these foods to a minimum before a junk trip: Salt, White Bread, Potatoes, Brocolli, Coffee & Tea, fried foods, chewing gum, carbonated drinks etc.